The government quietly abandoned plans to install 1GW of solar on its estate following cuts to subsidies it enacted in 2015, Solar Power Portal can reveal. The plan, initially launched by the Cabinet Office and the then Department of Energy and Climate Change, aimed to install 1GW of solar on HMG property. It formed a key part of the 2014 UK Solar Strategy which was championed by then-climate change minister Greg Barker. However SPP has learned that the programme was shuttered in September 2015 – just 17 months after it was launched – following cuts to solar subsidies proposed that summer. SPP can also reveal that no formal announcement was ever made regarding the programme’s closure, with the Cabinet Office and DECC instead informing industry and government stakeholders privately. The programme eventually deployed just 100MW, equivalent to just 10% of its target capacity. That 100MW is formed of two, ~50MW AC ground-mount projects completed on former airfields owned by the Ministry of Defence. Those projects were the Bradenstoke Solar Farm, built at RAF Lyneham, and Swindon Solar Farm, built at RAF Wroughton. The revelation has prompted angry responses from both the opposition Labour Party and the Greens. In a comment issued to SPP, Labour’s shadow energy and climate change minister Alan Whitehead said the story raised serious concerns. “The Tories have systematically undermined the solar industry at the cost of 12,000 jobs. They have removed access to finance and brought forward tax changes which has crippled the industry. “Now it’s reported that they have shelved their own plan to install solar panels on the government estate. Both their failure to deliver and the lack of transparency in this process raises serious concern. Leonie Greene, director of advocacy and new markets at the Solar Trade Association, said the decision to scrap the programme captured the “volatility of solar policy” and prevented the government from “leading by example”. “That only 10% of the target was met, largely through constructing the UK's biggest solar farm, confirms recent difficulties making projects work economically,” she said. Caroline Lucas, co-leader of the Green Party, slammed the government’s decision to shelve the scheme. “Behind the government’s green veneer is a refusal to put solar panels on its own buildings. To see this programme shelved after such pitiful progress is symptomatic of a government which has failed repeatedly to match its green words with real environmental action. “With the price of renewables falling fast, ministers have the chance to kick-start a renewable revolution of clean energy which would create and keep people in jobs, too. The government should lead by example and embrace renewables as the energy of the future,” she said. SPP also contacted Lord Barker, one of the Solar Strategy’s main proponents at the time of its publication, but did not receive a response. A spokesperson for the Department for Business, Energy and Industrial Strategy said: “The UK is leading the world in cutting emissions, having the best economic growth at the same time as delivering the deepest carbon reductions of any G7 nation over the last 25 years. We installed more than twice as much solar capacity in 2015 as any other European country - more than Germany, France and Australia combined. The UK Solar Strategy was published by the Department of Energy and Climate Change in April 2014 and highlighted the technology’s role as an “important part” of the UK’s energy mix. It stressed an ambition from the government to help nurture the nascent domestic solar industry and established a range of initiatives, from policy decisions and desired outcomes to pledges for greater collaboration to help overcome certain technological hurdles. Initiatives to be borne from the strategy include the extension of permitted development rights for commercial rooftops up to 1MW in size and so-called “lift and shift” amendments which allow commercial entities to take solar installations with them to new premises without affecting feed-in tariff payments. The strategy stated that this “major programme” would be led by DECC and the Cabinet Office alongside a separate initiative to help stimulate solar installations on the rooftops of England and Wales’ 24,000 schools. DECC stressed the potential for deployment on public buildings to “increase substantially” once the benefits of solar deployment were realised, aided at least in part by the government’s own programme. But the programme endured a slow start. DECC initially wanted to identify the first 500MW of rooftop installations that same year, but a Freedom of Information request submitted by Solar Power Portal in October 2015 revealed that there had been no progress. 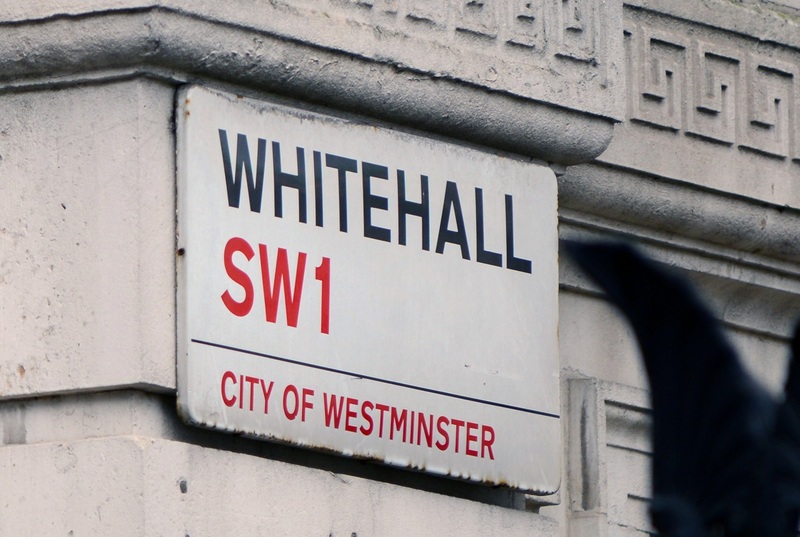 The Cabinet Office did however qualify its admission at the time by arguing that it was continuing to work with other governmental departments and public sector bodies on solar PV projects with the aim of meeting its 1GW target. Just two of those projects evidently saw the light of day.